EUGEO is formed at the initiative of the Italian Geographical Society (Società Geographica Italiana, SGI). 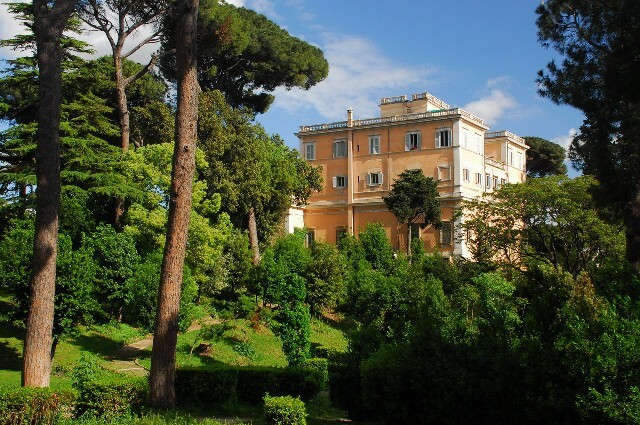 In 1994 representatives of geographical societies in the European Union gathered in Rome in the headquarters of SGI, Villa Celimontana (the 'home of Geography'), and decided to establish an association. The idea was to encourage and enhance greater collaboration between the independent scholarly European geographical societies, associations and institutes, each of whom had a community of geographers from a nation or region in a EU member state as their membership. 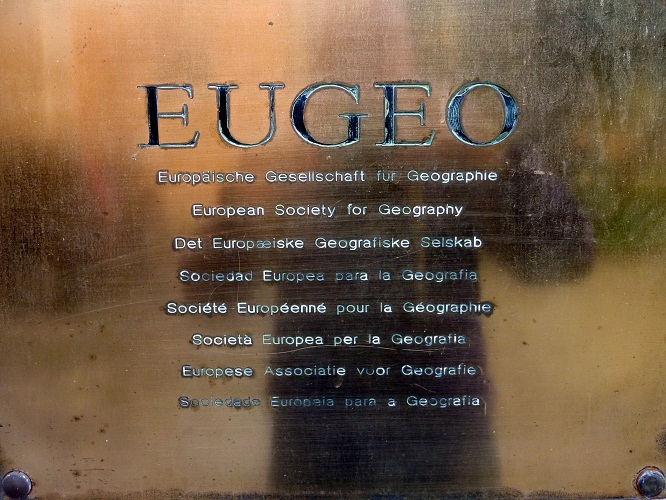 The initial objectives of EUGEO were to improve communication and exchange ideas between member institutions, to act as a lobbying body for geography in Europe, to improve synchronisation of geographical research at a Pan-European level, and to identify new scientific and educational responsibilities for geography within Europe so as to position geography more fully within the centre of the European debate. Between 1994 and 1996 the statutes were drafted and agreed and in Paris in December 1996 the first meeting of the Board of Directors and the first General Assembly took place, with representatives from each of the founding societies. EUGEO functions since 1997 as an international scientific association under Belgian law. Cooperation among the different national and regional geographical societies and associations in the EU, participation in joint projects to study European problems, promotion of geography at the European level and establishing relations with the European Union became the main priority aims. 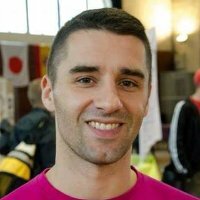 to promote a European wide geographical information resource; to promote good practice in the teaching of geography at all levels in European education. The first president of EUGEO was Henri Nicolaï of the Royal Belgian Geographical Society (Société Royale Belge de Géographie), first Secretary-General Armando Montanari of the Italian Geographical Society. Henri Nicolaï was followed up by Christian Vandermotten, also of the Belgian Geographical Society, Armando Montanari by Rita Gardner of the Royal Geographical Society (with IBG). In December 2009, Henk Ottens of the Royal Dutch Geographical Society was elected president. The early history of EUGEO is documented in an article by Armando Montanari and Henri Nicolai as part of the Special Issue of Belgeo produced for the 30th International Geographical Congress in Glasgow in 2004 (Geography in Europe; free download at this link). Author: Henk Ottens. Last revision: August 2, 2012 (BELGEO link added thanks to Christian Vandermotten, Massimiliano Tabusi, Jan 7, 2014).